Engesa's first headquarters were in Avenida Liberdade, São Paulo. In 1975, the company moved its headquarters to Avenida Das Nações Unidas, and in 1985, to Barueri. However, its main production facility was in São José dos Campos. Engesa headed a group of Brazilian companies, operating in various economic sectors and exporting to 37 countries, that included Engesa Electronics, (a Brazilian subsidiary of Philips,) and FNV-Fábrica Nacional de Vagões (National Rail Car Factory). Research and development for the group was provided by the company Engepeq. 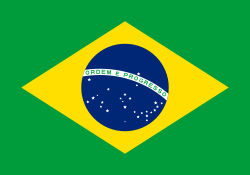 In the 1980s Engesa employed over 5000 people, and by 1993 had produced over 3,300 armoured vehicles for the Brazilian military, and export worldwide. Engesa was declared bankrupt in October 1993. The company's problems had begun with the loss of $200 million in Iraq, and the failure of sales of its EE-T1 Osório tank in which it had invested its complete budget. In 2001, the company's factory in São José dos Campos was sold to Embraer. Main battle tank: EE-T1 Osório. 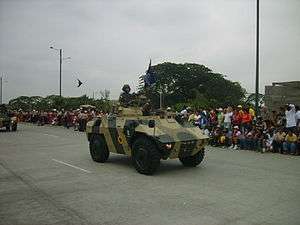 Wikimedia Commons has media related to Engesa_vehicles.